This page was created so you can easily access the things we recommend on a regular basis. Our founder, Kade Young, has personally used all of the recommendations below and has found them to be extremely helpful – and we know you will too. Disclosure: Please note that some of the links below are affiliate links, and at no additional cost to you, we will earn a commission if you decide to make a purchase. Please understand that all affiliate links listed on collaborateworship.com are for products or tools we have personally used and highly recommend, not because of a commission, but because we know you will find them helpful. Transitioning to in-ear monitors can be overwhelming – especially the cost. However, you do not need to spend hundreds for headphones to get the job done. 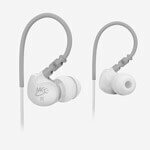 These are around $50, have great noise isolation and produce good, clean sound. They also have great low end and stay in your ears. If you are looking practical guide for church sound, this is the book you need to get. 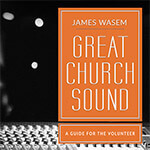 Author James Wasem created this book specifically for the church volunteer with little to no experience running sound. This is one you will want to keep handy so you can continually refer to its wealth of information. Learn how to use your X32 digital mixer…fast! In this video course, you will learn everything you need to know to effectively use the Behringer X32 at your church, including basic audio concepts like how to use EQ and compression. 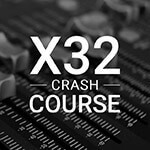 Instead of wasting hours on YouTube and ending up frustrated, take the X32 course. I still remember the day I was burning a CD and making copies of sheet music for each worship team member so they could learn new songs…then I found Planning Center! There is no easier way to schedule and provide song resources for your worship team. 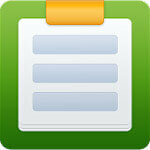 If you are not using Planning Center Online, it is time to start!